The Brontës have always felt like part of my life, and this love and admiration for the brilliant siblings was first expressed publicly in my biography ‘In Search Of Anne Brontë‘ released in 2016. I was thrilled at the reception it received, and the opportunity to talk about the Brontës to new people at new exciting locations. It’s fair to say that the book changed my life in many brilliant ways, which is why I’m thrilled today to announce the publication of my new book looking at the life of an enigmatic genius: Emily Brontë. 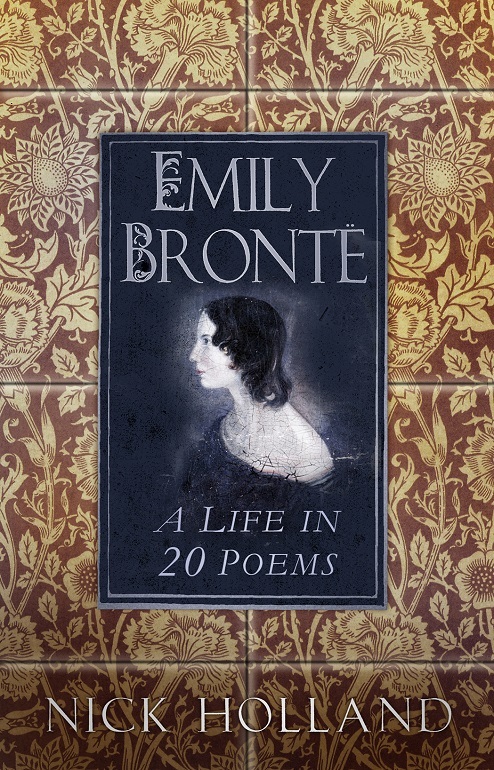 ‘Emily Brontë: A Life In 20 Poems‘ is released by the History Press today and you can buy it at this link. It takes a fresh look at her life by examining twenty events, people and themes in her life, and linking each of them to one of her greatest poems. In that way you not only get a biography of Emily, but a collection of her verse as well. Some of the book invariably is based upon my own theories as to Emily’s motivation and actions, and your opinion may differ on some of these – but that’s the joy of the Brontës, we can all approach them in our own way and have our own views on them. They are timeless and ever-evolving in the minds of those who think about their works and lives. I hope you enjoy reading my book too – and to celebrate its launch I’m giving away a free signed copy of the book! All you have to do to be in with a chance of winning is email me at insearchofannebronte@hotmail.com. I’m really looking forward to this book as I am a big fan of Emily Brontës poetry. I’m sure it will be a great read. Good luck with the launch and the sale of the book! Thank you Marina, and good luck in the draw! Congratulations, Nick! How exciting to see your passion for this brilliant literary family flowering again in a new book! I once read a book called “Emily Bronte and Beethoven.” She was an accomplished pianist with a passion for Beethoven, the man and composer. The author even stated that Emily based Heathcliff somewhat on Beethoven- his wild looks and stormy temperament. Perhaps you’ve reached that conclusion too. In any case, I look forward to reading your new book! Thanks Mae, as I always say your praise means a lot as I’m a big fan of your Joseph Merrick autobiography ‘Measured By The Soul’. Emily’s love of Beethoven is certainly explored in the book, but I didn’t make the connection with Heathcliff – that sounds fascinating! Congratulation, Nick! Very exciting news! Indeed, if one wants to find and know the Brontës , one should look to their works . I have just bought a copy of your latest book – it looks most interesting, and I am looking forward to reading it. I hope you are successful with it. Thank you for mentioning my 2015 talk at Haworth ‘Emily Jane Bronte and Ludwig van Beethoven’, as a footnote to page 109; in fact I’m presenting a paper on the same theme at the Bronte Society Conference in York on 7th September. 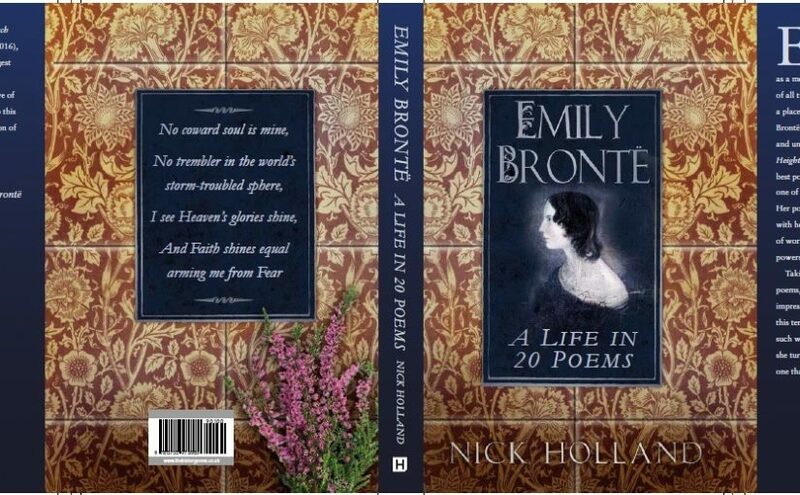 And my book, ‘Emily Jane Bronte and Her Music’ has just been published. With best wishes. Thank you John, and it’s great to hear that your book has just been published. I’ll certainly be buying a copy, and I’m sure it will be a fabulous read! Previous Previous post: Happy Birthday Charlotte Brontë, 202 Today!